Once again, FC Barcelona has been one of the busiest clubs in the transfer market this winter. Los Blaugrana recently shocked the football world when they announced the signing of Ghanaian superstar Kevin Prince Boateng, who joined on loan from Sassuolo in a highly unexpected deal this week. 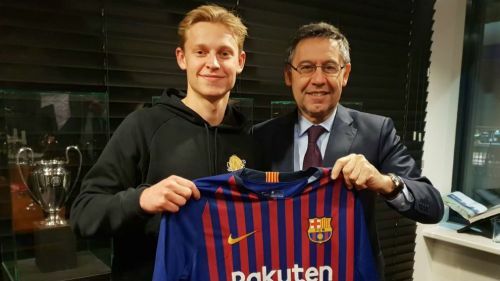 Shortly after that, the Catalan giants returned to the spotlight - this time, completing a transfer that everyone was looking forward to - shrugging off competition from the likes of Paris Saint Germain and Manchester City to earn the signature of highly talented Ajax midfield prodigy, Frenkie de Jong. While it is true that the capturing of the Dutch starlet is a brilliant move from the Catalan giants, it should also be remembered that the arrival of the 21-year-old into Barca's midfield comes at a price too, with the squad looking heavily congested in that department. After paying a whopping £65 million to lure de Jong to the Nou Camp, it is evident that Barcelona wouldn't want to keep him on the bench. This implies that the club will be forced to shift some of their superstars and limit a few others in order to accommodate their new signing in the team. The situation surrounding the career of Spanish International Denis Suarez at the Nou Camp is clear to many. The versatile midfielder has failed to establish himself in Barcelona's midfield ever since he returned to the Catalan capital during the summer of 2016. While his ill fate began under former manager, Luis Enrique, the situation hasn't changed during Ernesto Valverde's tenure too, with the former Athletic Bilbao boss having given him just 8 appearances since the beginning of the current campaign. 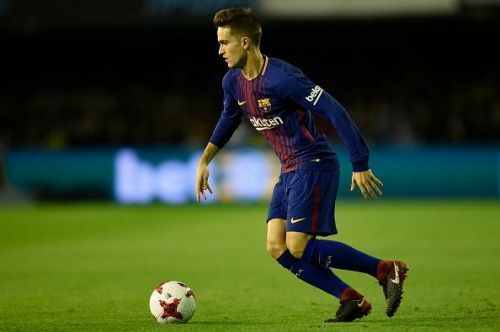 With the signing of Frenkie de Jong from Ajax this winter, things will likely get tougher for Denis Suarez at Barcelona next season and the versatile midfielder could be forced to quit the Catalan capital and switch to the English Premier League where Unai Emery's Arsenal will be keen to grant him an escape route.